Listen to our Guests on the Concertino YouTube channel here. 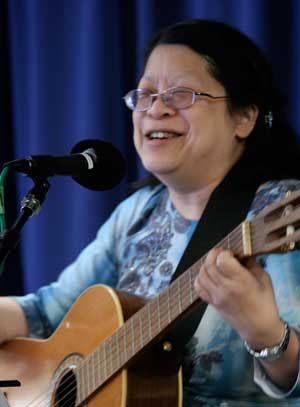 Cecilia Eng has been a vital part of the filk music community in the Pacific Northwest for many uh-hum years. Her welcoming smile and hearty laugh have lit up many a filk circle and her songs can bring a smile to your face, haunt you, push you to read a series you have never heard of before, and encourage your dreams all at the same time. She loves a good sing-a-long song and almost always blushes when someone makes a request of her in the circle. Her songs range from the serious, such as Welcome Home, her tribute to John Glenn, to the humorous, such as Passion Flower, her song about Mr. Sulu and the man-eating alien columbine. Many fans were inspired to read C.J. Cherryh's books after becoming fascinated with Cecilia's song Morgaine at Ivrel. In addition, she has collaborated as a performer, arranger, and songwriter with many other filk artists, including Mercedes Lackey, Heather Alexander, and Michael Longcor. She may downplay how amazing she is for the filk community, but I promise you, you will be a believer after meeting her and hearing her music. Listen to Passion Flower here. 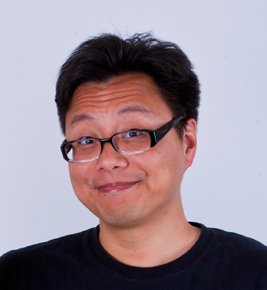 Errol Elumir is a web comic artist and a puzzle designer who loves writing silly music. He first learned of Filk through the FAWM.org forums, and the thought of a convention dedicated to writing music about geeky topics intrigued Errol and he signed up immediately. In 2011, he joined up with Debs Linden to form the duo Debs & Errol, where they had the amazing opportunity to meet with many filkers. After they retired in 2015, Errol has been enjoying a quiet life of creating large scale, theatrical, escape events. You can find more about him on his daily web comic http://myneighborerrol.com. Watch the first part of NaNoWriMo the Musical here. Erwin S. (Filthy Pierre) Strauss got into fandom at MIT in the mid-1960s. He was a fixture at East Coast cons, playing the piano at filksings. He has published numerous fannish publications, including the Index to the SF Magazines 1951-1965, the MIT SF Society's collection of underground campus songs, the SF Convention Register, the SF Conventional Calendar for Asimov's SF, and the Microfilk (a compendium of filksongs in ridiculously tiny type). He's also written The Complete Guide to Science Fiction Conventions for the neophyte congoer. 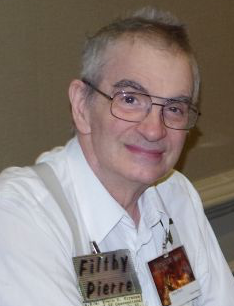 He's in the Filk Hall of Fame, has received the Big Heart service award, is a Fellow of the New England Science Fiction Association, and received a Special Noreascon Four Award for contributions to the fan community. He can be recognized by his iridescent "Filthy Pierre" badge, and his mouth-powered organ. Listen to Filthy warm up a crowd at Boskone 51 in 2014 here. 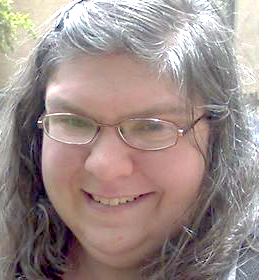 Gabrielle Gold has been singing, writing filk, and attending fan conventions for over ten years. She discovered filking at an early 2000's Marcon in Columbus, Ohio, and has never looked back. The filk community has given her a place to land, and she is eternally grateful. She won second place in the 2012 OVFF Songwriting Contest and went on to record the entry as a single under the Indianapolis-based Dragon Scale Studios. One of these days, she might actually publish an album. You never know. When she found out she had been Interfilked, there was much neeping. Her current favorite topics to write songs about are mythology, folklore, and anything to do with stars or plant life.